We are a regular visitor to Walton and Weybridge. Covering all kinds of events from conferences to film shows at Walton and Weybridge Film Society. We also cover audio hire which includes speakers microphones for the prestigious Weybridge Lawn Tennis Club. Also we supply sound systems for their birthday week and many other events in Walton and Weybridge. Here at Prosceens we’ve have the pleasure of providing Walton customers regular AV Hire services Projector and Screen Hire in Walton and Conference sound equipment Hire in Walton for Top brands and companies. 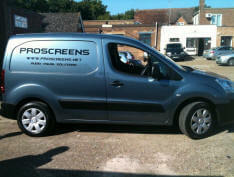 Walton screen hire and we also local to provide pa hire and sound hire in Walton . So if you are looking for a set of speaker local to Walton in Surrey we are happy to help. Don’t forget we also have projector and microphones. If you need help picking your audio visual equipment hire in Walton give us a call.